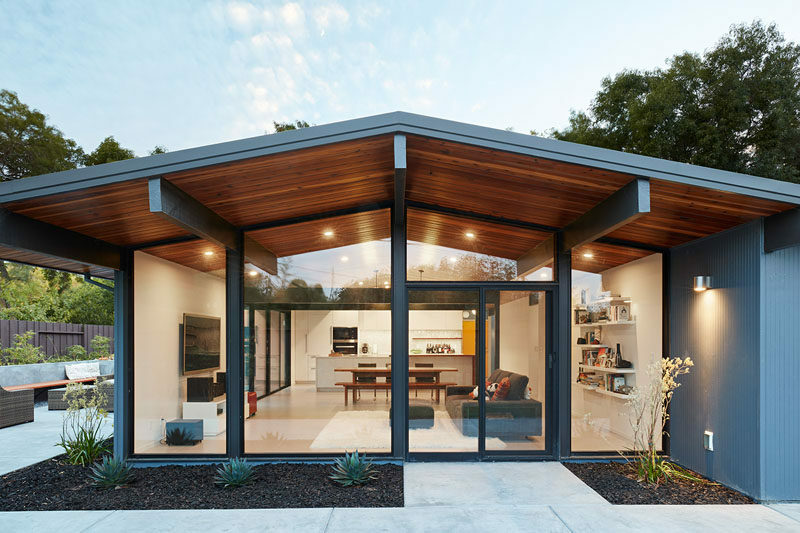 Klopf Architecture have completely remodeled this once dark Eichler house in Palo Alto, California, creating a more open, bright and functional family home. 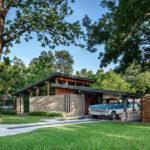 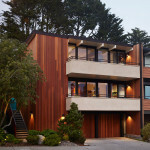 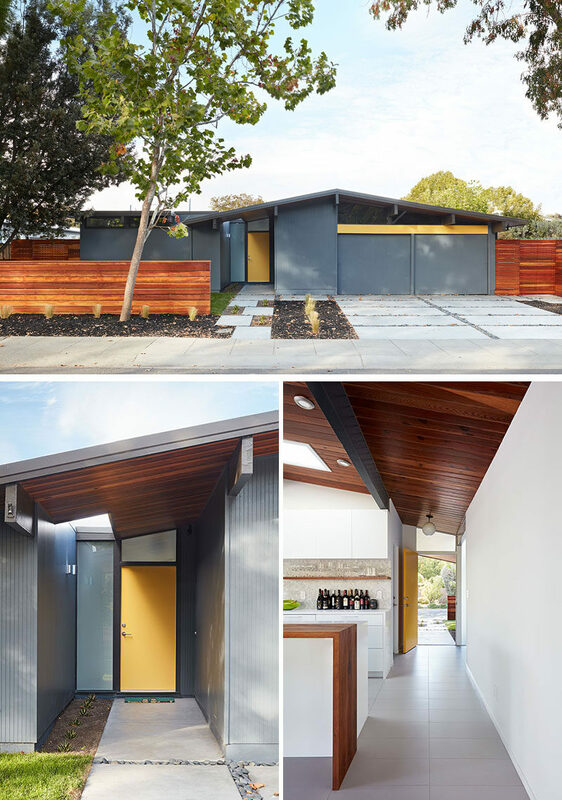 The historic Eichler color palette was used to create a modern updated front facade. 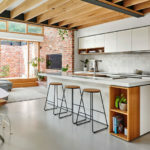 Inside, the former galley kitchen was relocated and was opened up to have clear sight lines through the great room, and its new design includes a large island with a walnut bar countertop for extra seating. 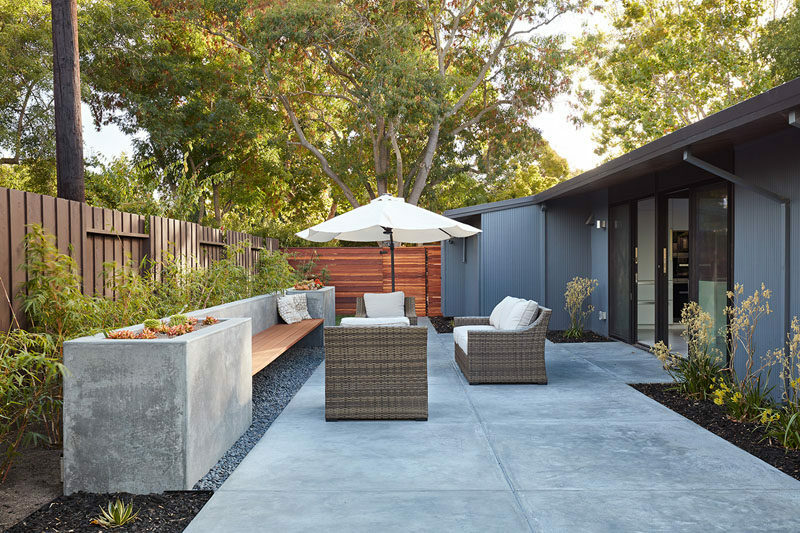 Just of the kitchen is a patio area with a built-in wood and concrete bench, that features planters on either end. 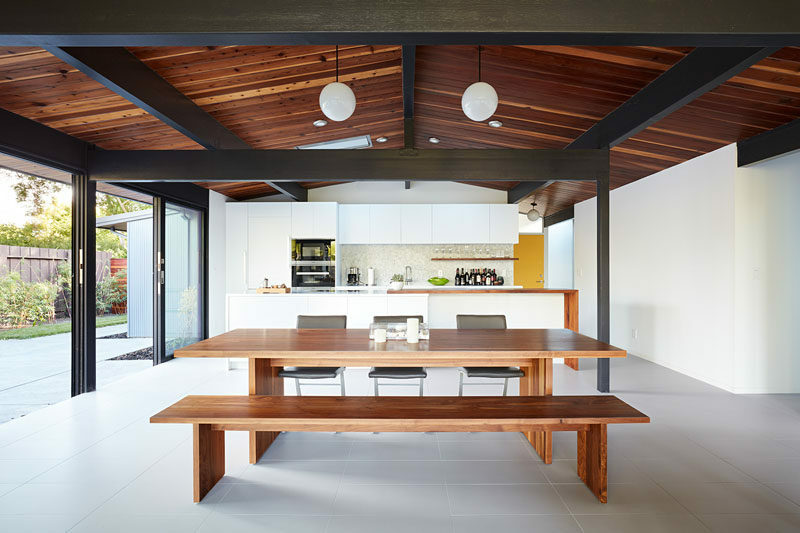 Back inside, and the wood dining table complements the exposed stained wood ceiling above. 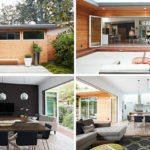 The reconfigured great room with new full height windows and sliding glass doors blends the indoors with the outdoors. 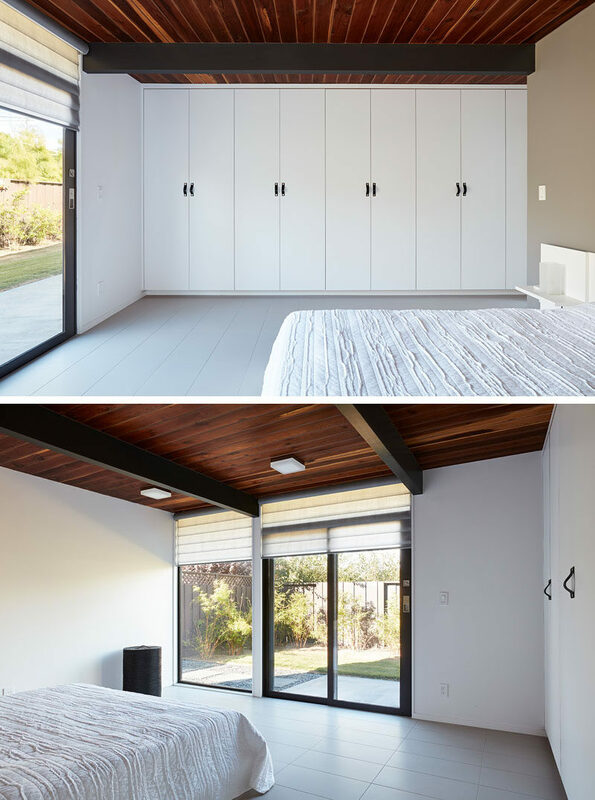 In the bedroom, a wall of cabinetry provides plenty of storage, while a window and sliding glass door provides natural light and access to the garden. 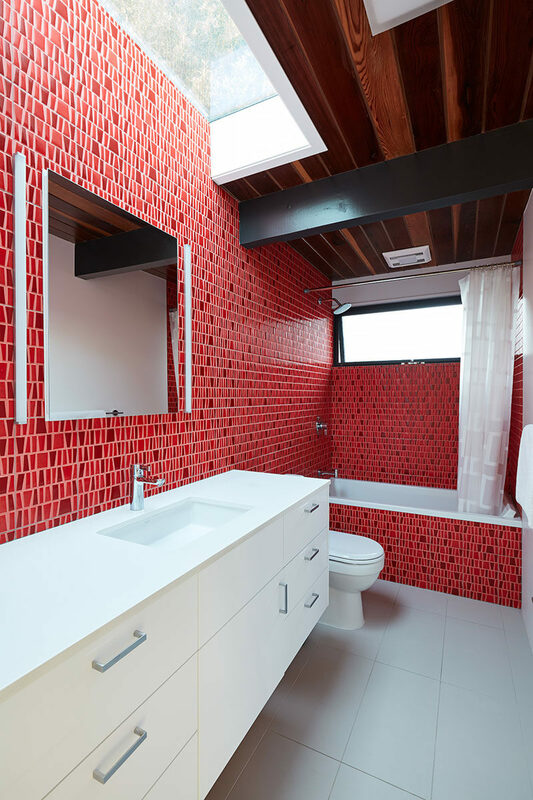 In the bathroom, bold bright red tiles cover the walls and bath surround, and contrast the white vanity. 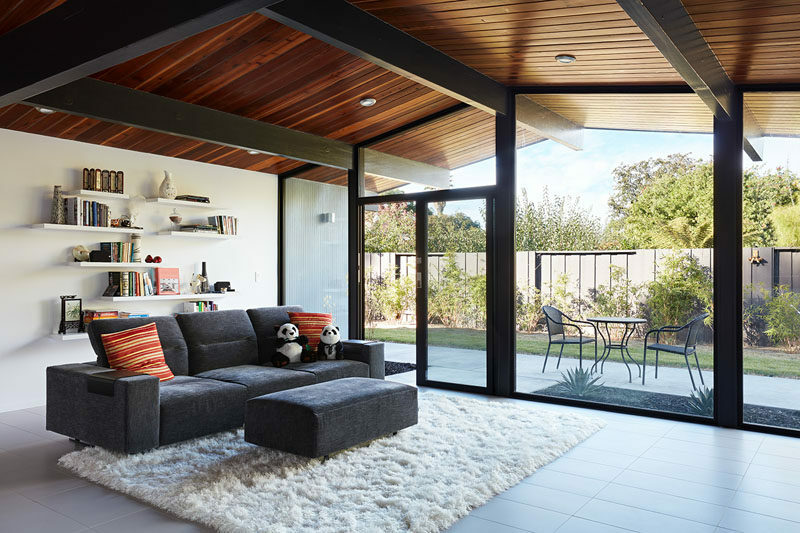 A skylight above the vanity helps to keep the room bright.